When recounting the machinations that transpired the evening before, especially if it's with a meLANcholy tone, it's imperative that you develop the perfect Shaky Alibi, in case you're ever called to the stand. "A cook of the Prince-Bishop of Liege Belgium invented the Liege waffle in the eighteenth century. The traditional recipe is a closely guarded secret and is smaller, sweeter and denser than the Brussels waffle. 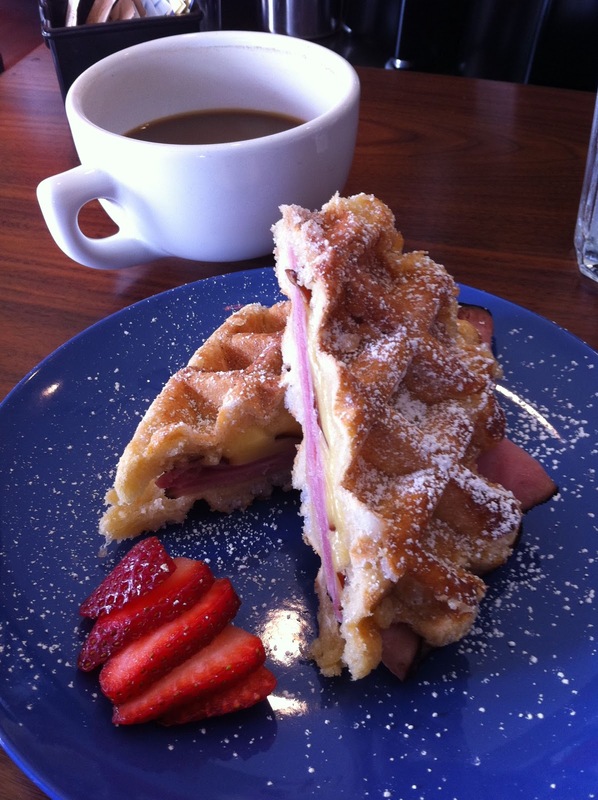 The waffle is made from a yeast dough rather than a batter and is coated chunks of Belgian pearl sugar that melt and caramelize creating a slightly crispy shell. 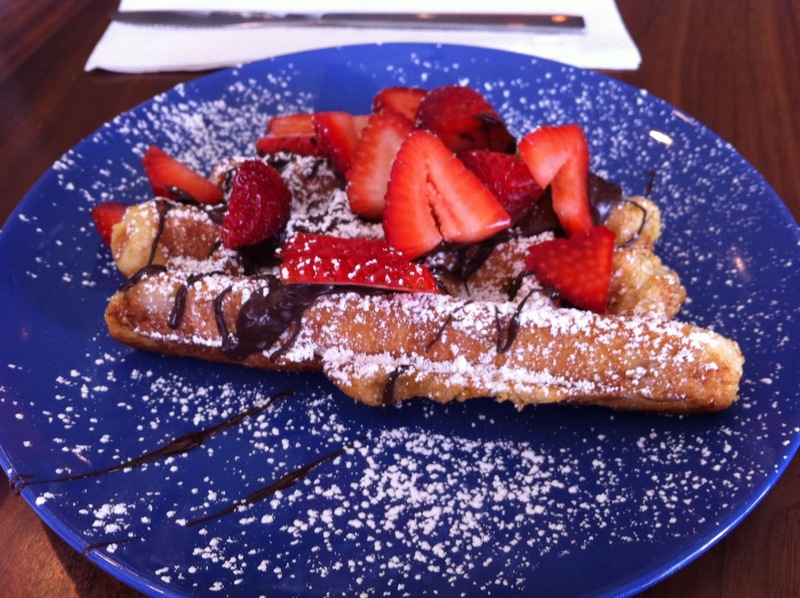 At Shaky Alibi, our authentic Liege waffles are simply delicious. Inspired by Agnes, my German born great grandmother who came from a family of bakers, each Liege waffle is served hot from the waffle iron and handcrafted to your desire. Whether choosing a traditional powdered sugar, fresh fruit, savory or one of our imported Belgian spreads, you’re sure to experience a taste sensation." I went with the savory, black forest ham & gouda. To die for. My partner in crime went with the sweet, strawberries and a drizzle of chocolate. While I do love the savory/sweet combo, I think next time I might need to mix it up with a little Speculoos, this amazing Belgian spread that's reminiscent of crumbled graham crackers in a yummy whipped paste. Wonder how to mix that into a savory dish! 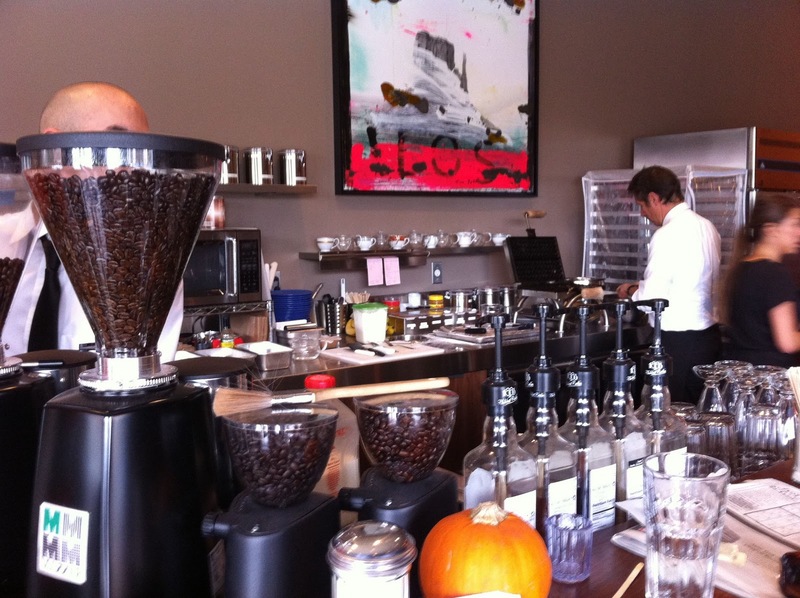 It's absolutely a coffee house, with only a counter versus a kitchen. So don't expect the full breakfast spread if you're coming here... they're limited to waffles, made by the cup coffee & espresso, and what I've been told is spectacular ice cream, worthy of another trip. i am so excited for this place i cannot contain my waffle.